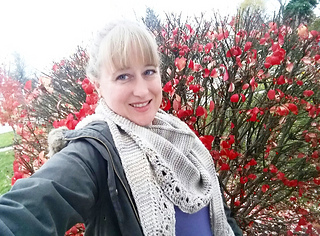 The “Roundabout Shawl” is the larger, cosier version of my “Roundabout Shawlette,” which not only calls for thicker yarn, but has more increases. 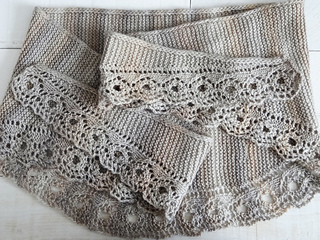 This shawl is lovely in simplicity and has a wonderful I-Cord edging and short lace panel built directly onto the pattern. 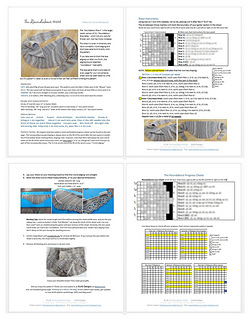 The lace panel chart is provided on every page for your convenience. 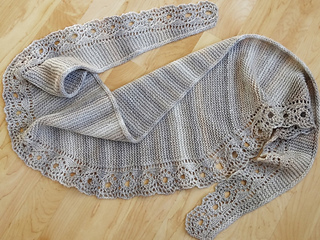 Great care has been taken to write out this pattern in detail so even a novice knitter can feel confident knitting this pattern. 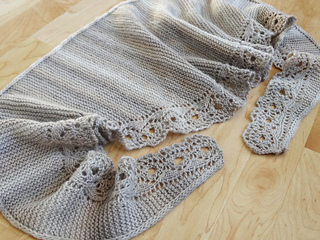 Yarn: 425 yds/170g of aran (8 wpi) wool yarn. 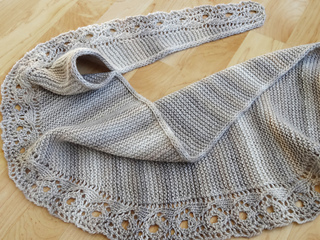 This pattern used Yarn Bee’s Chloe yarn in the “Bisque” color. 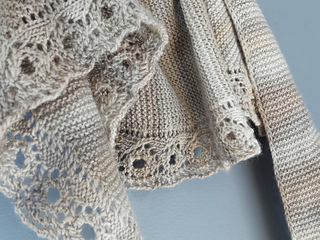 Note: The lace panel will not block out properly if your yarn does not have at least 50% or more wool in it. 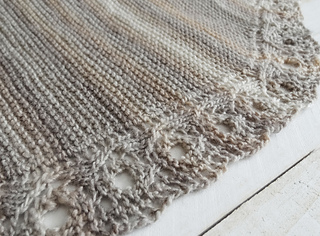 Needles: US 7 (4.5 mm) straight or circular needles, plus a darning needle.